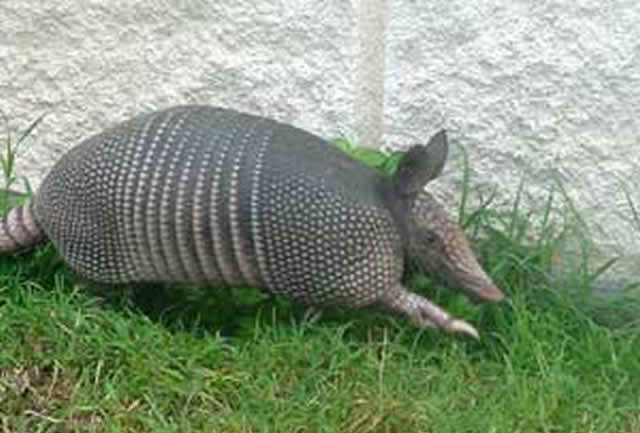 Want to get rid of armadillos in your area? Use our nationwide directory of wildlife control operators to locate a professional trapper near you. 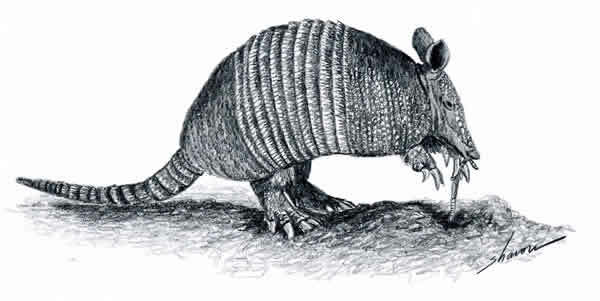 North American armadillos are interesting looking little creatures, with rabbit-like ears and covered with nine bands of armored plates. They are non-aggressive and in most cases will simply run away when they feel threatened. Most people who have encountered these animals report that the creature pretty much ignored them unless they did something overtly threatening to it. 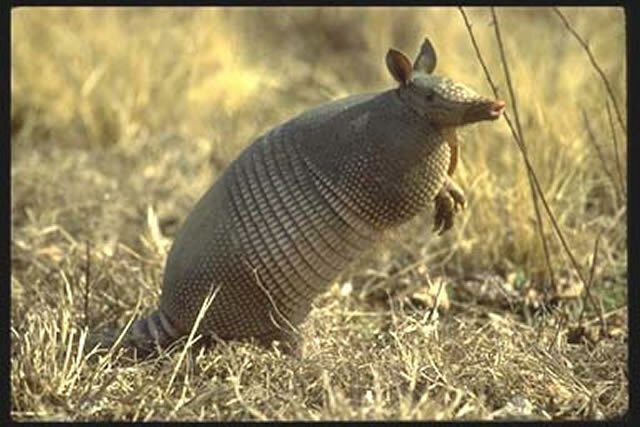 Since armadillos are not vicious, why would anyone want to get rid of them? What damage will they do? Numerous holesThese animals have sharp, strong claws and strong legs; both of these things make them very good diggers. As it digs for bugs and grubs, it will leave numerous holes all across your lawn. These holes, which are approximately 3-5 inches across, leave the terrain uneven and unsightly. BurrowsAn armadillo burrow can damage sidewalks, driveways, sheds, foundations, and underground pipes. The worst (most expensive) damage is done when they burrow under sidewalks, sheds, or foundations, causing them to settle and shift. Their trenches can also break underground pipes. Uprooted plants Their digging is disastrous to lawns, flowerbeds, gardens, and golf courses. Tree root systems destroyed Trees are also victims because their root systems are often damaged by all the digging. What attracts armadillos?Armadillos like soft soil that is easy to dig in and that is full of insects, grubs and earthworms. They also feed on small invertebrates such as fleas and spiders that live underground, and are known to eat scorpions and berries. What health risks do they pose? To schedule an inspection, call Allstate Armadillo Control: 1-888-488-7720. You may send us 5 to 10 digital pictures of your armadillo problem and we will give you a FREE cost estimate over the phone. For fastest services, call us today at 1-888-488-7720. Prices will vary depending on the severity of the problem and on the time spent on the job. Remember, wild animals can be unpredictable. Every job is unique and our solution will be custom fit to your situation. Check with your insurance for coverage. 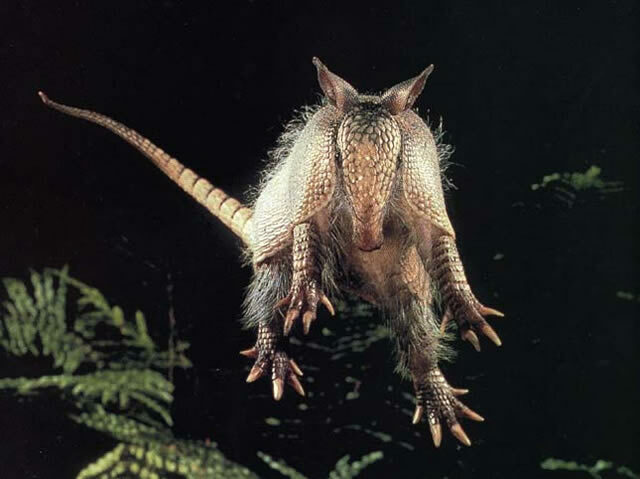 Read more about this pest animal at our Armadillo FAQ. Seen this guy around? Call a professional who knows how to get rid of armadillos. 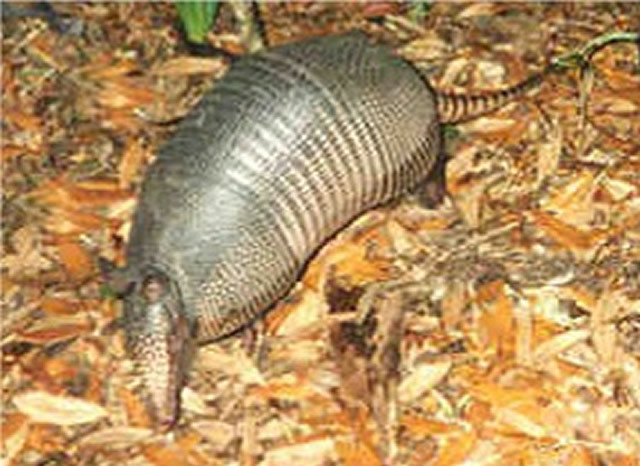 Trapping armadillos can be done safely and humanely. An armadillo trap is usually the best way to catch these unique animals. 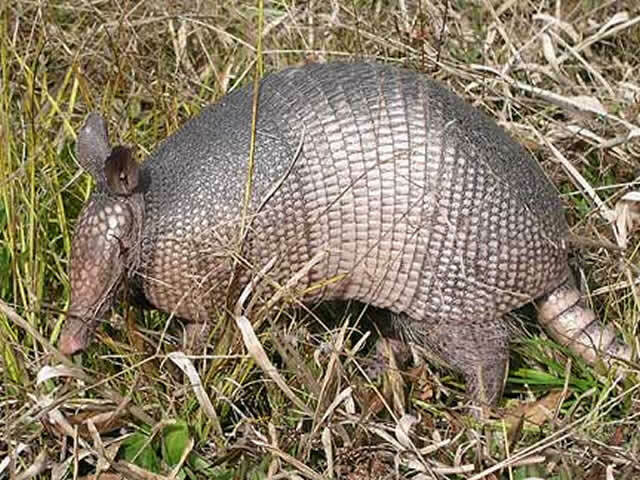 Our armadillo removal system will take care of your problem. We offer complete armadillo control.